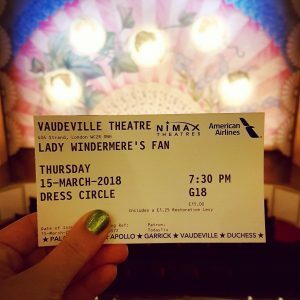 The Oscar Wilde classic Lady Windemere’s Fan was playing as part of the Oscar Wilde Season at the Vaudeville Theatre, so I grabbed a couple of tickets and went along. This classic comedy is set in 19th century London and explores the relationships of social upper class, with all their outward expectations, moral attitudes, infidelity, propriety and rules. Grace Molony lovingly plays a naive Lady Windemere who is tempted by the ruthless Lord Darlington who aspires to tear her out of her happy marriage. 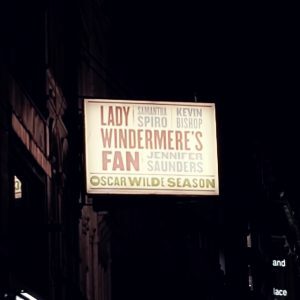 The star of the stage was definitely Samantha Spiro with her stunning portrayal of the rule breaking and unconventional high society lady Mrs Erlynne, who is clouded in mystery and a victim of seemingly unending gossip. She brings grace and an air of rebellion to the stage, in this somewhat outdated but still very entertaining play. 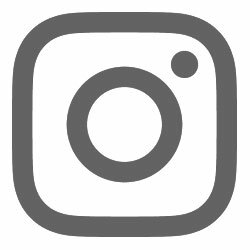 While the entire production is very well done with sweeping stage design and beautiful gowns throughout, Jennifer Saunders’ portrayal of te Duchess of Berwick was definitely a highlight. To see her take the stage for the first time in almost 25 years was fantastic, and her humour and quirkiness transcended the somewhat dusty air of high society in this funny play. Especially her intermission performance of Keep Your Hands Off My Fan, Sir was pure perfection. A very enjoyable play that seems much less antiquated than I had suspected. While it hasn’t been updated in any way, the way the production managed to stay true to the material while poking fun at the way it was poking fun at society of days long gone, was just refreshing and truly entertaining. Five and a half rainbow sloths from me!